Have you ever been in a situation where you were not sure you could accomplish a certain task? Or you have doubted your own abilities and therefore never even attempted to achieve your goals? Many of us have probably had those same feelings of uncertainty or fear of failure, so how do you overcome those feelings and face those challenges with confidence? Of course, you are probably thinking it is easier said than done and I wouldn’t totally disagree with you, however, I have been fortunate enough to push myself through the uncertainty and accomplish my goals. I will admit, it wasn’t easy and it took some time to gain the confidence needed to overcome those feelings. As many of us are aware of our own situations, we are more critical of ourselves than anyone else and therefore we are more reluctant to take a chance or face our fears. The reality is that we are more capable than we give ourselves credit for and deserve. It wasn’t until I begin experiencing varying levels of success for myself that I was convinced I could do it. Armed with the knowledge of my abilities I was able to overcome many obstacles and barriers that kept me from succeeding in the past. More importantly, I would not allow myself to believe I could not accomplish any goal I set my mind to. In the future, when you are faced with the feeling that you don’t have what it takes to accomplish certain tasks, think back to the last time you overcame that feeling and you were successful. Allow yourself to apply some of that grit that helped you in the past and go for it. 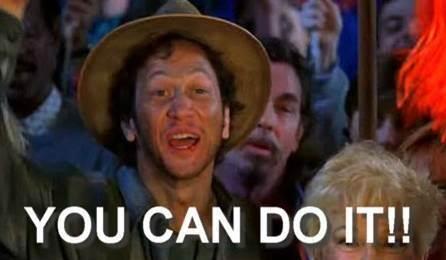 When I hear, or think of the phrase “You Can Do It” I think of the Towne played by Rob Schneider from the movie Waterboy starring Adam Sandler. The scene is funny and it makes me laugh every time, but the reality is that it still applies; when you are faced with a situation you believe is outside your current abilities, dig a litter deeper and you will be amazed at what you can accomplish. So, the next time you are doubting your own abilities or fear you might fail then cut yourself a little slack and think about the Towne from the movie Waterboy and picture him saying “You Can Do It”, take a brief moment to smile or laugh and then DO IT!! http://www.leading2changeconsulting.com/wp-content/uploads/2017/03/You-Can-Do-It.jpg 260 446 admin http://www.stephdemers.com/wp-content/uploads/2018/07/L2C-300x269.png admin2017-03-11 04:37:482017-03-11 04:37:48You Can Do It! 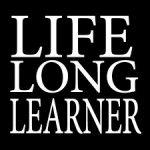 Be a LifeLong Learner! 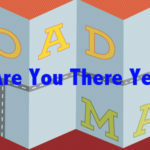 Are you there yet?